From this section, you can choose what content to display on the homepage. Go to the Customizer -> General Settings -> Homepage Settings. As already said, you can choose what’s displayed on the homepage of the site. It can be posts in reverse chronological order (classic blog), or a fixed/static page. To set a static homepage, you first need to create two Pages. One will become the homepage, and the other will be where your posts are displayed. 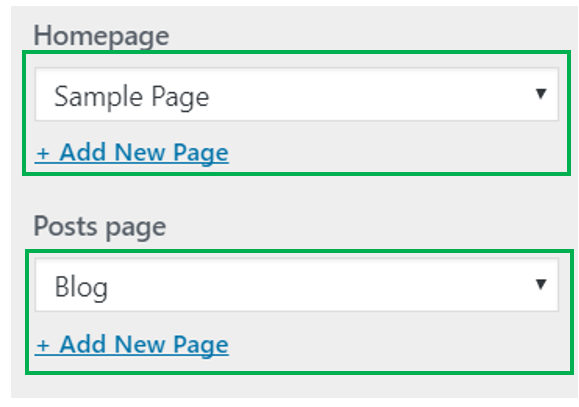 Simply use Add New Page to add and select the page & page content you want to display.